Get Togethers: Rachael Ray 30 Minute Meals is more of a good thing for fans of her Food Network show and Rachel Ray’s 30 Minutes Meals 1 & 2. In Get Together, Rachel groups 3 recipes together, presenting them as menu suggestions for casual entertaining, all promised to be ready in the magic 30-minute mark. Not trying to re-invent the wheel, Rachael Ray mainly borrows tried-and-true recipes from classic cookbooks and pares them down to fit into her 30 minute timeframe, making them ideal choices for both new and busy cooks. She takes some logical shortcuts (prepared cut frozen vegetable, canned stock, etc.) to get the job done, but in doing so does not skimp on the healthy, fresh choices and her recipes do lean to the healthy side. 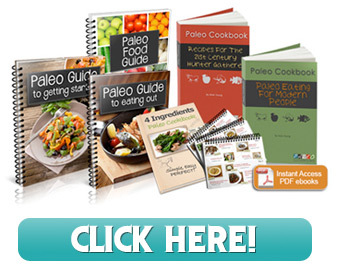 Her easy-going style and healthful, easy-to-prepare dishes have found her a growing audience of home cooks looking for everyday, realistic meals. 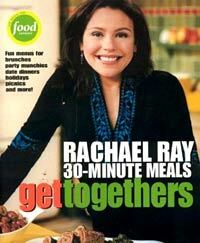 As with all of her books, Get Togethers: Rachael Ray 30 Minute Meals is a no-frills, neat package at an affordable price.